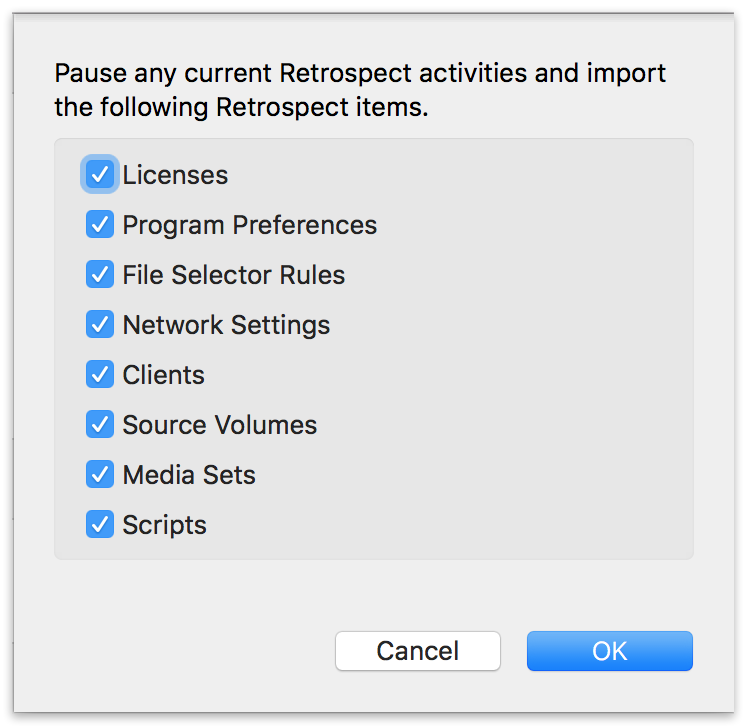 Retrospect 11.5 for Windows and Retrospect 13.5 for Mac included a new cross-platform engine configuration management workflow for importing and exporting engine configurations. We’ll walk through how to import and export on both platforms. The following items are included in the engine configuration file. Each can be imported individually. 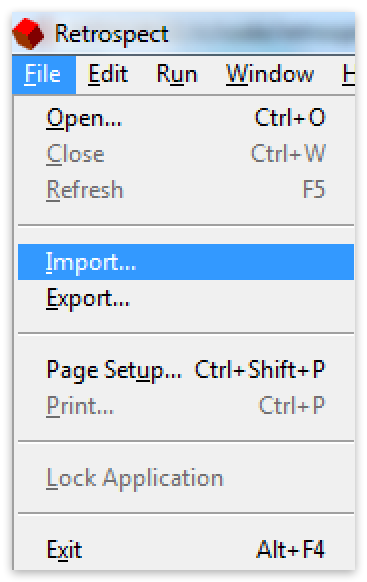 In the menu bar, select "File" then select "Import". Select the configuration file you’d like to import. Select "Pause and Import" to pause your executions and import all of the items in the configuration file. Select "Options" if you’d like to select specific items in the configuration file. If you selected "Options", you can select specific items to import. Decide whether to stop all execution activity in Retrospect to import the configuration file. 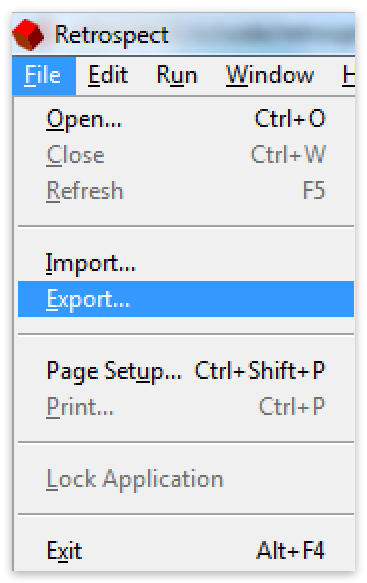 In the menu bar, select "File" then select "Export". 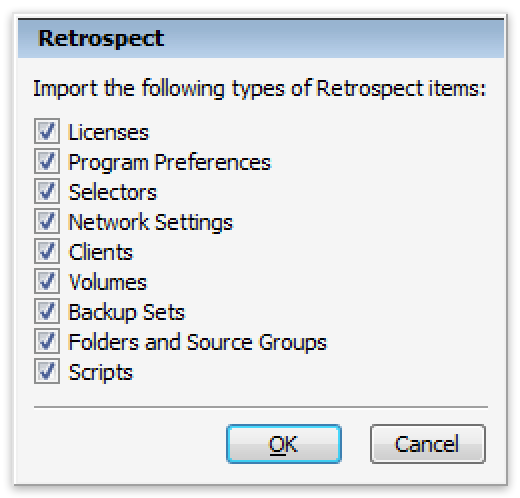 For "Export the Retrospect Configuration Data", select "OK". 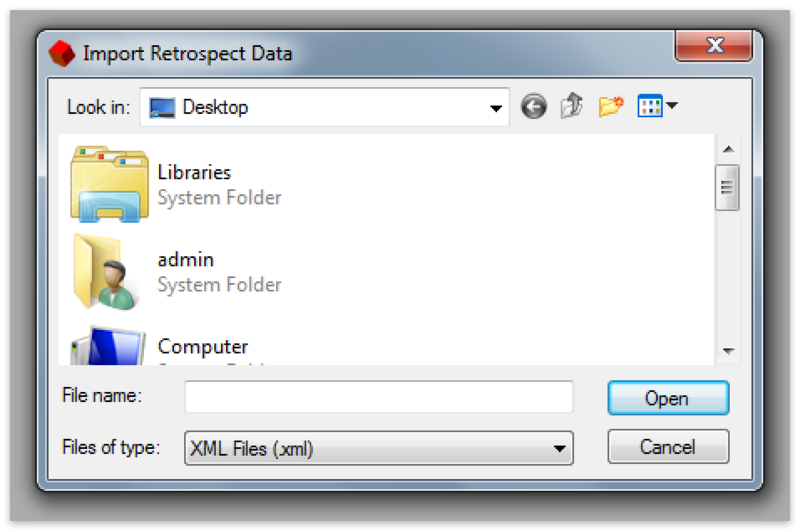 Select the location for the file titled Retrospect Configuration.xml. 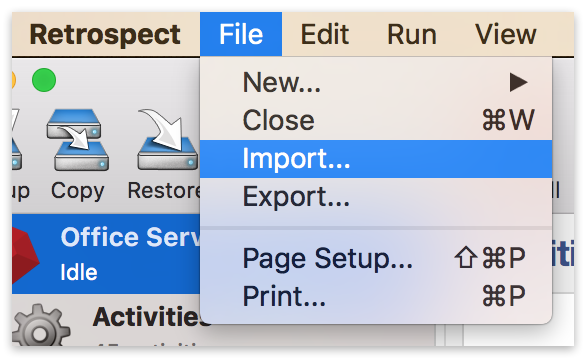 In the menu bar, select "File" then select "Import…​". Select the relevant items to import and click "Add". 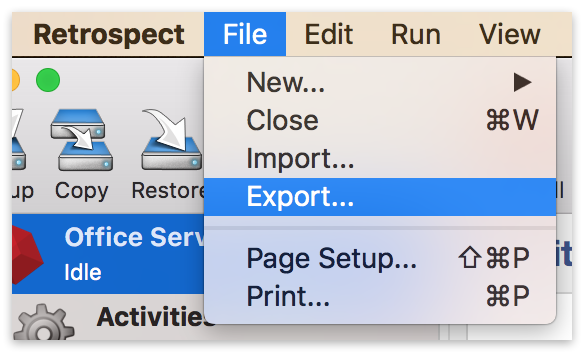 In the menu bar, select "File" then select "Export…​". Select the appropriate location for the exported file and click "Export". 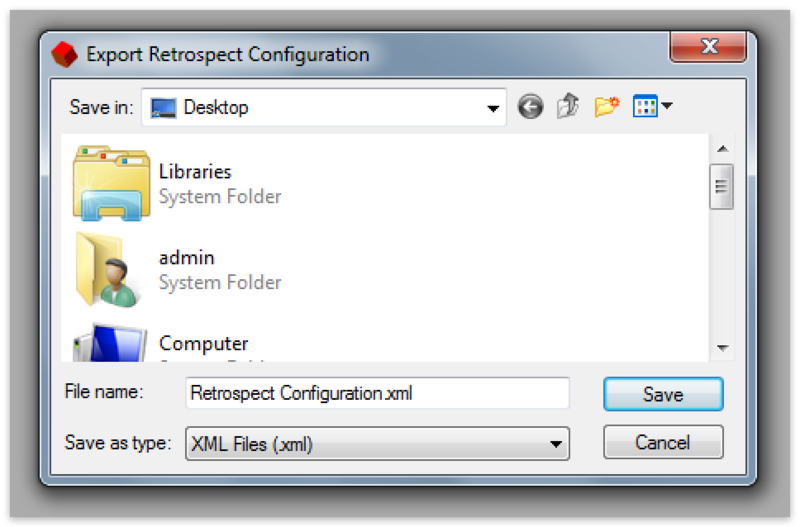 The exported file will be named Retrospect Configuration.xml.